Combining two incredible natural cleaning agents, this cake soap is the perfect way to pamper you when it comes to shower time. The salt helps to easily scrub away dead skin cells and keep your skin fully exfoliated. 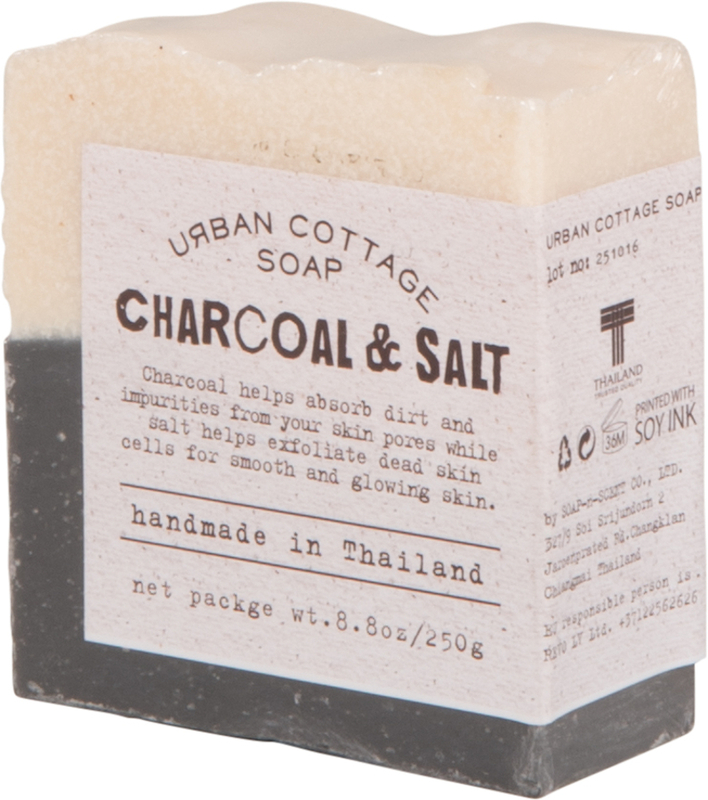 The charcoal is great for cleaning out your pores; absorbing all imperfections and dirt. This lather cleans and relaxes for a truly luxurious wash; made possible with high-quality, sustainably-sourced ingredients and zero harsh chemicals. There are no obnoxious synthetic fragrances to deal with either; just great cleaning action and a smooth, relaxing lather. Sodium palmate, sodium cocoate, sodium palm kernalate, aqua, glycerin, sodium ricebranamphoacetate, parfum, lavendula angustifolia oil, charcoal powder, sea salt, olea europaea fruit oil, tocopheryl acetate. 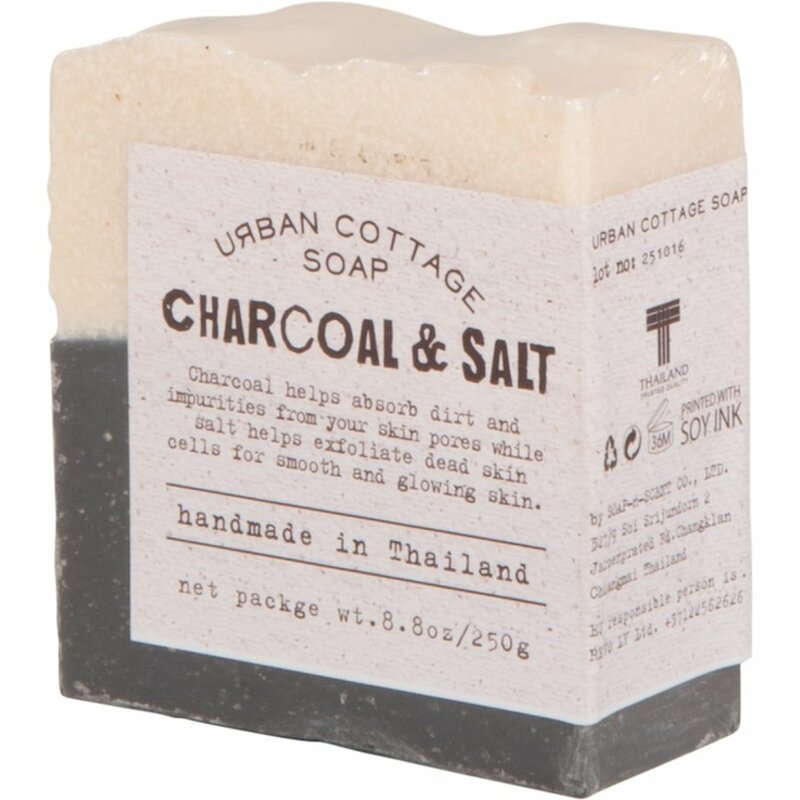 There are currently no questions to display about Handmade Charcoal & Salt Exfoliating Cake Soap 250g.